‘Tres Leches’ means three milks and that is what this cake is all about. Its very popular in South America so I am told, I was asked to make one and given this recipe from Danielle’s Brazilian blog which I didn’t do justice too at all. 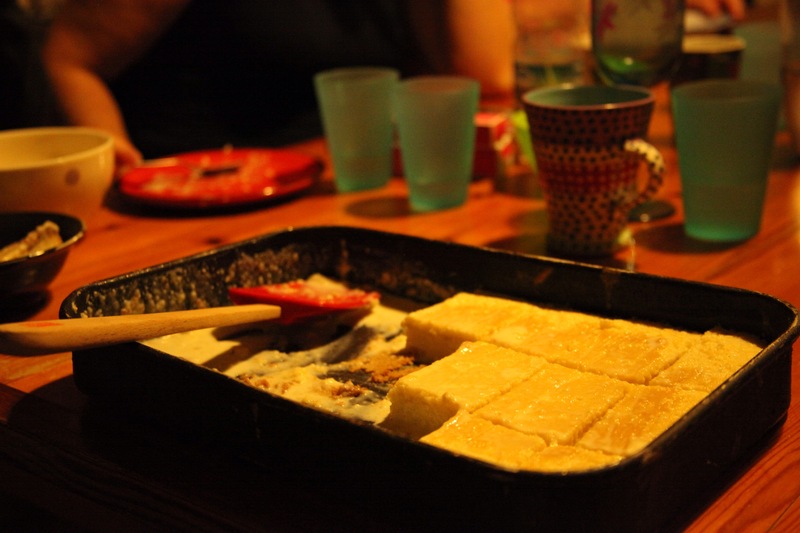 Nevertheless it was delicious! It is said G makes the best arepas in his whole family. Now, I’ve only ever tasted his, but I believe it because they are delicious! 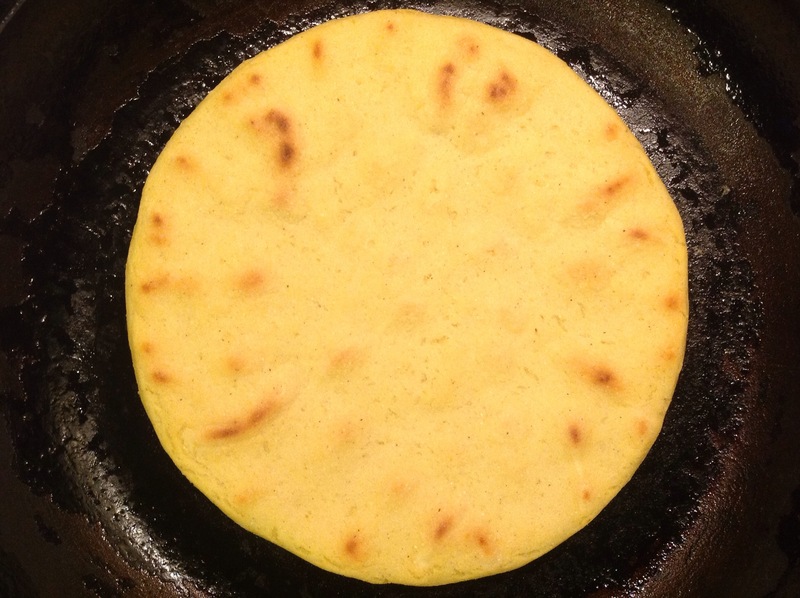 Arepas are a staple part of Colombian gastronomy, like our bread here. You could probably classify them as a flat bread made from maize. They eat them for breakfast and/or dinner with whatever you have to hand or like. Again, like bread. G likes his with fried eggs, my aunty likes hers with avocado and cheese. I have been nagging G to teach me to make them for sometime and this weekend he did!